Blue Peter is situated on Lauttasaari island by Gulf of Finland 4 km from Helsinki city centre. In the summer time it is really popular due to large terraces and HSK sailing club members. Restaurant is open all year around hosting private events also in the winter time. Had dinner in October on Friday. Because of Autumn vacations, restaurant was quite empty. On top of that windy weather might have reason for lack of customers. Menu changes nowadays enough often, which is good reason to visit nearby restaurant. 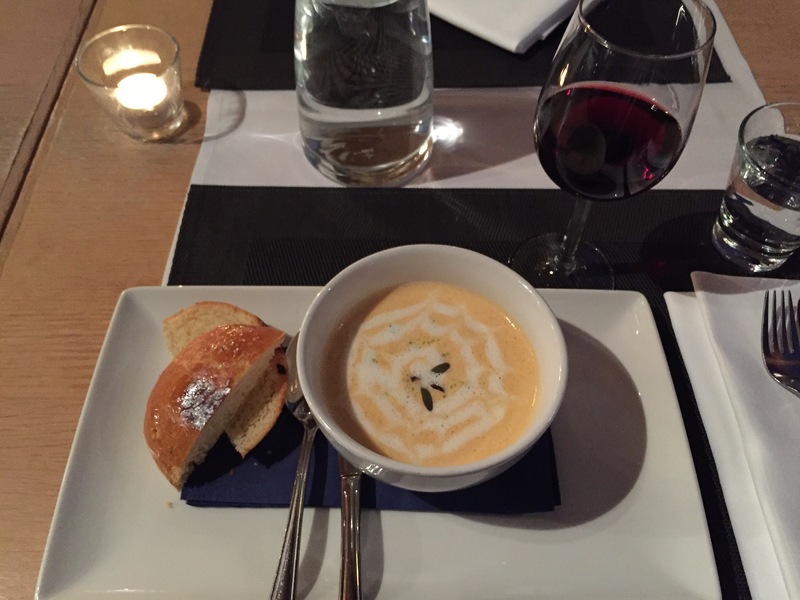 For starter ordered Spicy lobster soup by house and roasted brioche . Dish was delicious and tasted lobster, but meat pieces on the bottom of plate were pieces of crab. However, bull’s eye for soup! Do not order sausages so often but decided to try House sausages with sauerkraut poultice and Jaloviina mustard. 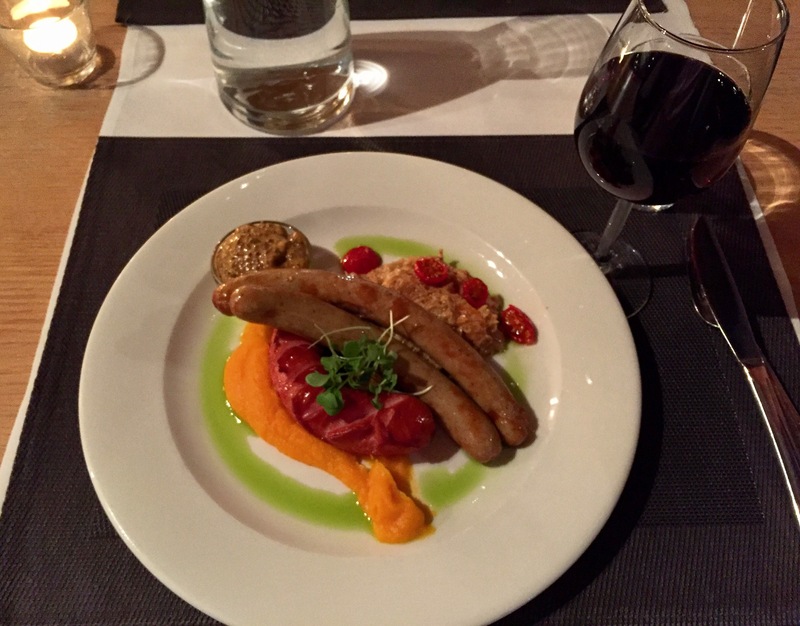 Basically dish would have been excellent, but as sausages were not enough warm = hot, had to decrease points. Additional side dish, sweet potato pyre, was tasty as well as sauerkraut. Blue Peter is especially summer restaurant, but it does not mean, that in can be cozy also in the winter time. Starterd earned 4 for Food, but main course dropped points. But it is great that there is stylish dining place outside of Helsinki centre, because it is not easy to survive all year round. Especially in the summer one of the restaurants you should visit. PS. click the link and check the video!